The EOL box is used as an End of Line (EOL) termination in audio systems that use a 20kHz pilot tone to detect open and short conditions. The termination is placed at the farthest end of the loudspeaker circuit. Unlike most loudspeakers the EOL box is reactive at 20kHz such that the resulting current can be measured using HiQnet Audio Architect™ software. If the circuit is either opened or shorted, the measured 20kHz current will change. 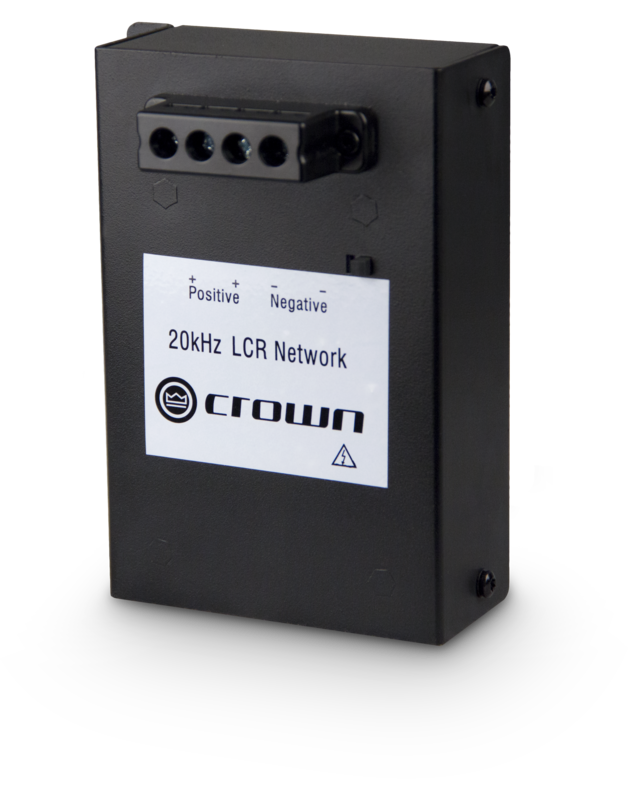 The EOL box presents either a 10Ω or 5Ω load at 20kHz, selectable using an external impedance switch. This method requires the 20kHz pilot tone to be mixed together with the audio. The pilot tone can be generated within the DCi Network family of amplifiers and the USP4 family of CTs amplifiers. Additionally the DSP built into the DCi Network and USP4 has the ability to allow for the pilot tone to bypass the internal speaker processing.